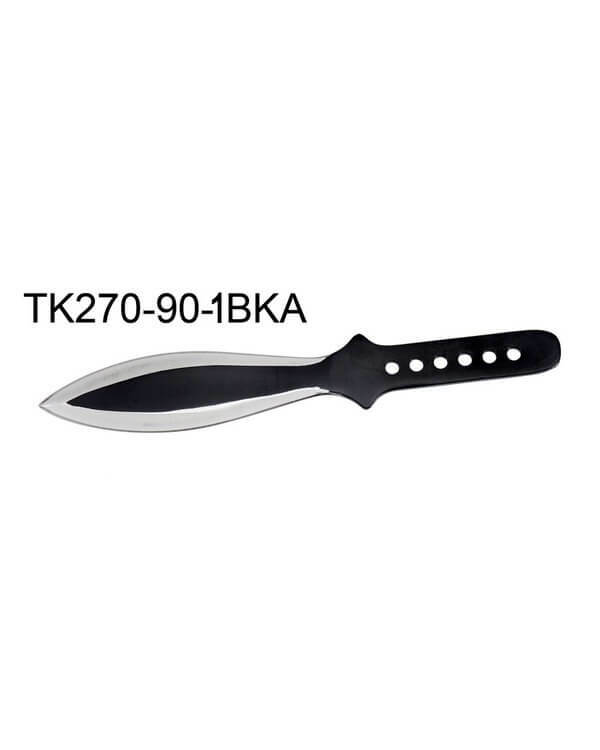 A single throwing knife. 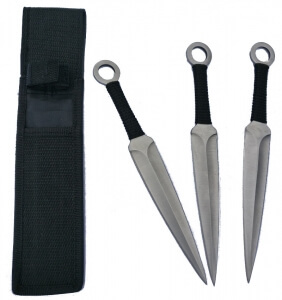 Good quality and well balanced throwing knife made of stainless steel. 9 inch overall length with a 5 inch blade. The knife case is tough, nylon and has a belt loop. Good value throwing knife.